We are seeing the effect of the number 7 year once again. The missing Malaysian flight is very typical of what can occur during a 7 year. Remember what I said in my last post about the 7; “That which is hidden but can be and will be revealed.”? 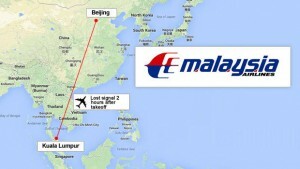 The mystery surrounding this missing flight will be solved but only after a lot of work and analysis is done first. I don’t believe that it will remain hidden from us permanently. I have consulted my guides about Flight 370 but I can’t reveal what I’ve seen until sometime next week. I will explain my silence on the subject then. So, stay tuned! And don’t forget to set your DVR’s to record “America Now” at 1PM on April 1st on channel 11 in Los Angeles. I will be appearing in one segment of the show. Those of you who live outside the LA area should consult their local TV listings to find out the correct time and channel in your area. I also had a vision regarding flight 370. Are you interested in hearing what I saw? Ok. Here goes, and don’t laugh. It may mean something and it may not. At first when I tried to concentrate on the flight, I had the wrong flight number. I was concentrating on flight 350. I got a vision/picture that I was underwater, but didn’t find anything of importance, so I figured I was doing something wrong or it just wasn’t going to work. I later learn the correct flight number and tried it again. This was about 3 weeks ago. Here’s the second vision I had regarding flight 370. I was underwater, not afraid, no scuba gear, and no fear of drowning. I was just there, and I knew I was underwater because of the plants and fish, which I saw first. Then I was among some bright yellow plants, flower-like, not leaf-like. They were all around and taller than me. I got the feeling that they were growing on something is the reason they were so tall. I moved away from there and was then standing in front of several huge arches. Tan in color. Rather futuristic looking. I couldn’t decide if the were flora or something man made, but they were beautiful. I then went left of the arches, and saw people-lots of people floating about, upright, but just floating. One person stood out very clear. It was a man in a dark suit, holding what appreared to be a briefcase. I remember wondering why he was still holding the briefcase and decided it must have been very important to him, or that it was chained to his wrist. While I was looking at him, in the background was the body of a plane. I don’t remember seeing the wings, just the body. And I don’t remember how I got in the plane, but suddenly I was in the cockpit, and remember saying to myself, I’m in the cockpit. I then let myself drift bact through the passenger area. There were lots of box-like shapes on the floor of the plane. I didn’t see anyone in the plane, and was wondering why there were no seats standing up. I continued drifting (and I say drifting because I wasn’t swimming–it was like the current was carrying me along) toward the tail of the plane, and then the picture faded out. I didn’t see anything to identify it as flight 370, meaning I didn’t see the actual number of the plane. This was not a dream, I was not asleep. I will let you decide what it might mean, if anything. Cheri, are you still there? Remember the yellow plants I mentioned? I think it might mean The Yellow Sea, which is just north of the South China Sea that you mentioned for the letter S.
Your vision is really incredible. you were in your dream the camera or the spirit to monitor the crash. The arches could be the remains of an era gone. In orther words, a city that once existed but due to maybe an earthquake or tsunami, the city went underwater, It would be interesting to see if you could go back again and get more information. yes, the yellow plants could be symbolic of the Yellow Sea. Oh dear. Is that unusual… seeing myself in visions? Leave it to me to be doing something weird. LOL! Keep trying to get more information from your Guides. At first when I saw Flight 370 and saw a missile hitting an airplane in the air from the ground, I thought my Guides were telling me about Flight 370. I now know it was Flight 17.